feel better. look better. have fun. CrossFit Classes For Everyone: Adults, Teens, Kids. Personal Training. Nutrition Coaching. For anyone looking to get in great shape in a inspiring, fun environment! Looking for a new box to call home? Get your FREE two week trial today! Your child(ren) will create healthy habits & develop a love for fitness. 40 reviews* including all reviews. 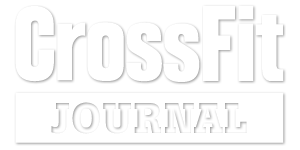 One one of the challenges people face was finding a CrossFit gym is one that meets your fitness goals and schedule. As an avid CrossFitter for over 9 years and a coach for 5 years, Luis visited over 40 gyms across the country and had seen many coaching styles and programs. He began looking, and one stood out from the rest BEACHSIDE CROSSFIT. If you are looking for a CrossFit box in Ventura County to join or drop in Beachside CrossFit will meet your fitness goals because of the 3 essential characteristics of those highly successful boxes. the beachside community reaches far and wide! not only is Nate either at the gym or hanging with members, the beachside community reaches far and wide. My tax person? Beachside member. Legal expert? Beachside member. Realtor? Beachside member. Electrician, mechanic when needed? Beachside. But most importantly, best people I ever met are there. Several Friends I will have for life. I lost 10lbs of fat and Gained 3.2lbs of muscle! Wooohooo…..Umm YES your program is obviously working! The program is one of the best you will see and experienced. BeachSide CrossFit understands how to get you feeling better and looking better while keeping all members motivated and having fun. The people make this place unique and wonderful. From the time you walk in the door to when you leave the friendly positive feelings are seen on each face. BeachSide CrossFit has great coaches and athletes but most important it has great people that feel like family from day one. If you are looking for a place to begin your fitness journey Beachside CrossFit will help you meet your goals and provide you with a community that can create great friendships for years to come. Come out and visit I can guarantee that you will be hooked from day one. Beachside CrossFit has outstanding Coaches that are not only certified but understand movement and how to coach to each individual needs one on one. The coaches strive to help each athlete progress on the specific fitness goals they are wishing to attain. The Coaches all reach out to each client and keep them motivated and progressing to succeed.